Oregon Betting For This Saturday, as The Season Begins! Home Event Oregon Become Betting Favourites For This Saturday, as The Season Begins! 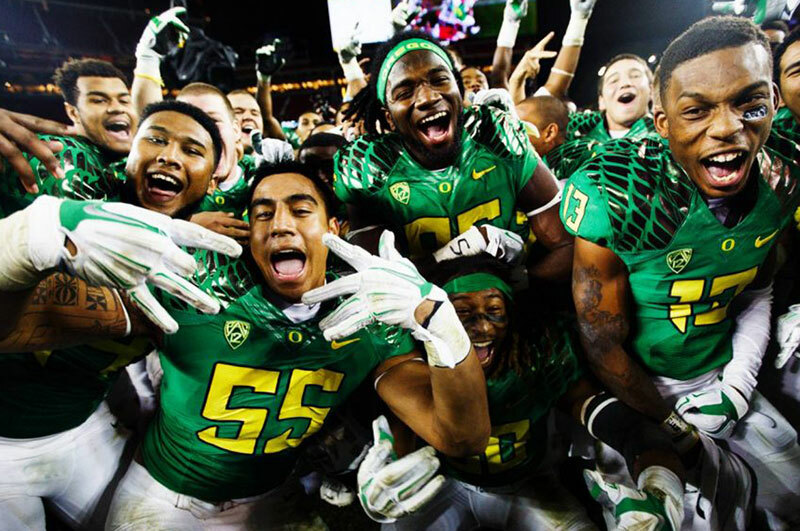 Oregon Become Betting Favourites For This Saturday, as The Season Begins! Although we’re sure it will be an entertaining match, nonetheless! Boise State shouldn’t be ruled out, however, and they recently were crowned champions of the Mountain West Conference Champions, where they took on the Fresno State Bulldogs – and won, 17-14 – earlier in the season. The team is led by quarterback Brett Rypien, and an impressive 11-2 record over their last 13 games in December shows that despite a very regular number of game fixtures, the team can still perform under pressure – and at the time of writing, it doesn’t appear that any major injuries have been reported with any of the players – something their coach, and owner will be incredibly happy to hear. They’ll need to bring their absolute best if they want to have a chance of defeating the Oregon Ducks – who, themselves, also have an impressive December scorecard, coming in at 7-0. Their last game took place against the Oregon State Beavers, and the ducks ended up going 4-5 in the Pac-12, and managed to cover all three of the four, down the stretch. This gives you an indication of the type of game they’re playing right now – and the Broncos will do have to pull out all the stops if they want a chance of winning. It’s likely we’ll see both teams’ take an offensive approach at the beginning of the game – whether this continues throughout the remaining quarters or not remains to be seen, but will more than likely come down to how the coaches’ perceive the gameplay. The Ducks may end up sitting back, attempting to tire their opponents – and under a new coach, it’s somewhat of an unpredictable time, as no one really knows what strategy they’ll head onto the field with! Nonetheless, it looks set to be a riveting game, and there’s sure to be plenty of action, so it’s a game you don’t want to miss!